St Clare’s is not like other schools where students are simply spoon-fed information. I realised this in my first week. Teachers expected more from me and all at once I was at the helm of my own education. I won’t deny that this was shocking and strange, but now, two-years on, I couldn’t be more grateful. I have attained greater independence and new-found appreciation for my subjects. St Clare’s has bolstered me for the dynamic world ahead. I now enter it knowing that I can take whatever comes my way. Life at St Clare’s is just like the IB: challenging but fascinating. Studying in such a diverse and friendly environment has encouraged me to discuss different ideas, undertake challenges and become a more independent thinker. St Clare’s means more to me than academic excellence: it is an academic inspiration where I discovered and developed my passion for economics. The mixture of nationalities and diversity of cultures here has broadened my mindset and opinions. The college environment teaches you to be independent, to take initiative and to build your future. The reason why I chose St Clare’s is because of the atmosphere, it’s very homey. I love Oxford; I am looking forward to staying here for the next four years studying Politics and Philosophy at Oxford Brookes University. The cool thing about St. Clare’s, as opposed to other study abroad programmes, is that I’ve been able to make friends with people that aren’t from my own country. I’ve met people from all over the world: Belgium, Germany, Switzerland, France, Argentina, Brazil…everywhere! 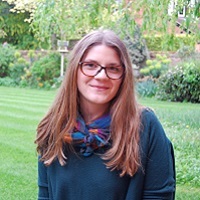 Alli from Colorado explains what it has been like on the Education Studies Programme at St Clare’s Oxford – will she be a great teacher? Definitely! I had a nice experience at St Clare’s. It was different from my home university because it was very small in size and international. It challenged me academically and helped broaden my cultural awareness. Emma from Elon University explains that studying at St Clare’s Oxford you get the English culture but you go to school with people from all over the world.